Pleasant Valley Gardens celebrated its 100th growing year in 2009. Started by Clementi Bonanno in 1910 on 100 acres along the Merrimack River, “The Bonanno Family Farm” has had many faces over the years. The farm has been involved in dairy, swine, vegetable, and flower production. It is hard to believe that prior to World War II, over 4000 pigs lived on the property. Currently, Pleasant Valley Gardens is operated by Richard Bonanno, his wife LuAnne Bonanno, and his father Angelo Bonanno. We now own about 35 acres and lease another 15 acres at the DeLucia Farm also in Methuen. Vegetables are produced for wholesale markets which include Market Basket, Whole Foods, Trader Joes, Associated Growers of New England, and many local farm stands including Mann Orchards of Methuen. 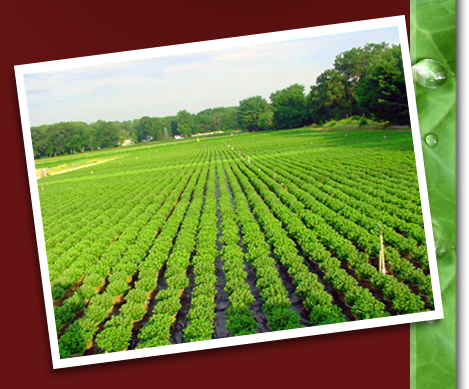 We also raise flowers and vegetable transplants in our greenhouses and in the field. We retail and wholesale a huge selection of hanging baskets, geraniums, bedding plants, Proven Winners, cemetery baskets, and patio planters. We retail in our greenhouses from mid-April through September. Although we may occasionally extend our hours, we are open from 8:30 to 6 Monday through Saturday and from 9 to 4 on Sunday. In 2009, we created a farm CSA. CSA stands for Community Supported Agriculture. Please click on the CSA page to learn more.